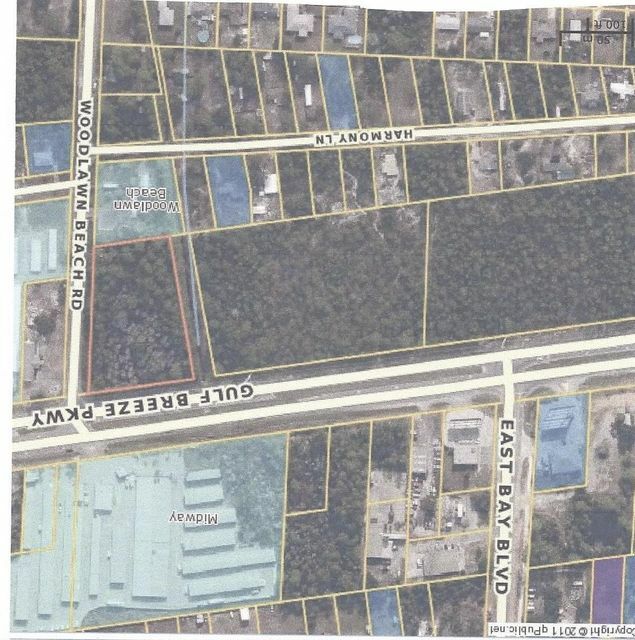 Very Visable Corner Lot on Hwy 98 and the corner of Woodlawn Beach Road. Hwy 98 decelerating lane in place traveling west turning into Woodlawn Beach Road. Travelling East it has a Median cut with decelerating lane on Hwy 98 at cross over to Woodlawn Beach Road. High and Dry in a growing commercial area. New Mid Way Storage Center across the street. Close to Midway Middle School and many housing and apartment developments. Zoned Hwy Commercial.